It was all jubilation at National Police College of Jamaica on Friday, January 27, 2017 as the Department of Academic Studies hosted its graduation and awards ceremony for graduates of the Associate of Science in Criminal Justice course. 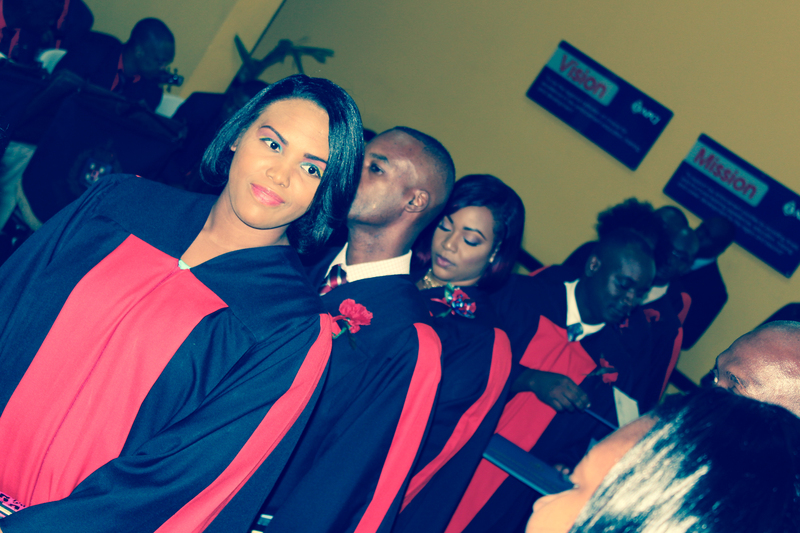 Thirty Two (32) persons graduated from the College at a ceremony attended by Miss Novellete Grant, Commissioner of Police (actg. ), Mr. Norman Heywood, Assistant Commissioner of Police and Director of the National Police College of Jamaica, Dr. Dawn Barrett-Adams, Accreditation Officer from the University Council of Jamaica, other esteem persons in academia and family members. The theme for the event, ‘Our Journey…with Education’, was derived from theme for the commemoration of the 150th year journey of the Jamaica Constabulary Force (1867-2017), Our Journey. The Guest Speaker, Dr. Beverley Shirley, Programme Coordinator at the UWI, Open Campus reminded the graduates and all others present that “education must result in a change in attitude and thinking; that will ultimately result in a change in behavior”. She implored the graduates to be exemplary and distinct; thus, everyone took great pleasure in acknowledging Donald McDonald who was the recipient of the Highest Achiever Award for 2017. The National Police College of Jamaica remains committed to its vision “to be the regional institution of choice for excellence in law enforcement, education, training and development” and will continue to strengthen the quality of our programmes and the capacity of our graduates to contribute to positive changes in Jamaica and the region. Congratulations to all our graduates.